Aakanksha Garg of standard 4 B and Alisha Chawla of 4 C did AVM Juhu proud at the recently held ‘Mumbai Games’. Both the girls participated in Judo, under-10 category on 6th January, 2019 at Dharavi Sports Complex, Bandra, Mumbai. 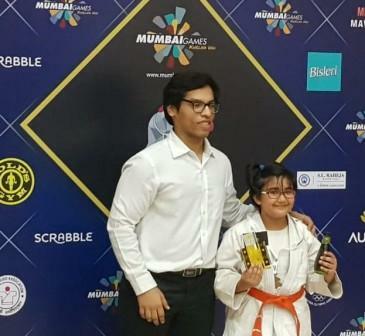 While Aakanksha Garg won the gold medal, Alisha Chawla won the bronze in the under 10 category.